Read an essay by Chang-rae Lee here. The bestselling, award-winning writer of "Native Speaker, A Gesture Life," and "Aloft" returns with his biggest, most ambitious novel yet: a spellbinding story of how love and war echo through an entire lifetime. With his three critically acclaimed novels, Chang-rae Lee has established himself as one of the most talented writers of contemporary literary fiction. 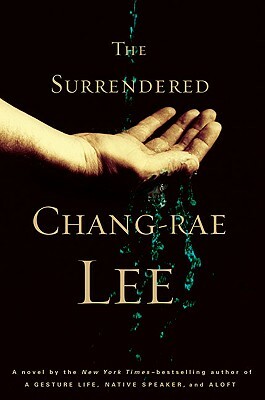 Now, with "The Surrendered," Lee has created a book that amplifies everything we've seen in his previous works, and reads like nothing else. It is a brilliant, haunting, heartbreaking story about how love and war inalterably change the lives of those they touch. As Lee unfurls the stunning story of June, Hector, and Sylvie, he weaves a profound meditation on the nature of heroism and sacrifice, the power of love, and the possibilities for mercy, salvation, and surrendering oneself to another. Combining the complex themes of identity and belonging of "Native Speaker" and "A Gesture Life" with the broad range, energy, and pure storytelling gifts of Aloft, Chang-rae Lee has delivered his most ambitious, exciting, and unforgettable work yet. It is a mesmerizing novel, elegantly suspenseful and deeply affecting. Chang-rae Lee is the author of "Native Speaker," winner of the Hemingway Foundation/PEN Award for first fiction, "A Gesture Life," and "Aloft." Selected by "The New Yorker" as one of the twenty best writers under forty, Chang-rae Lee teaches writing at Princeton University.